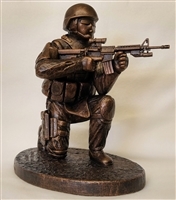 Military Sculptures by Terrance Patterson are used for retirement gifts and military awards for soldiers and veterans around the world. 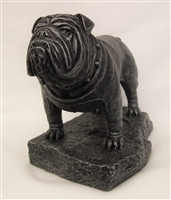 The sculptures are cast with hydrocal and coated with a bronze patina - creating a quality piece of art at an affordable price. 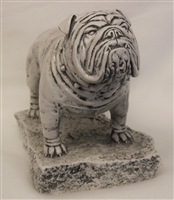 Terrance Patterson sculptures are a wonderful way to honor the service and sacrifice of our American soldiers.